Sooner or later, everyone we know will disappoint us in some way. They'll say something or fail to say something that will hurt us. And they'll do something or fail to do something that will anger us. It's inevitable. Unfortunately, we make things worse when we stew over someone's words and deeds. When we dwell on a rude remark or an insensitive action made by another person, we're headed for deeper problems. In fact, the more we dwell on these things, the more bitter we'll get. We’ll find our joy, peace and happiness slipping away. And we'll find our productivity slowing down as we spend more and more time thinking about the slight or telling others about it. Eventually, if we don't stop doing it, we'll even get sick. So what should we do the next time someone betrays us? TAKE RESPONSIBILITY FOR YOUR FEELINGS. Even though the other person may be at fault, even though the other person wronged us, we are still responsible for our own feelings. In other words, other people do not "cause" our feelings. We choose them. For example, two different people could be told that their suggestions made at the staff meeting were "stupid and idiotic." One person may "choose" to feel so hurt that he never speaks up at any other meeting again. The other person may "choose" to feel sorry for the critic, sorry that the critic couldn't see the wisdom and necessity of her suggestions. As long as we blame other people for our feelings, as long as we believe other people caused our feelings, we're stuck. We’re a helpless victim. But if we recognize the fact that we choose our feelings and we are responsible for our feelings, there's hope. we can take some time to think about our feelings. And we can decide what is the best thing to say or do. Then, we've got to l earn to WALK AWAY FROM DISAPPOINTMENT. It's difficult to do, but it's possible. The famous 19th century Scottish historian, Thomas Carlyle, proved that. After working on his multi-volume set of books on "The French Revolution" for six years, Carlyle completed the manuscript and took volume one to his friend John Stuart Mill. He asked Mill to read it. Five days later, Mill's maid accidentally threw the manuscript into the fire. In agony, Mill went to Carlyle's house to tell him that his work had been destroyed. Carlyle did not flinch. With a smile, he said, "That's all right, Mill. These things happen. It is a part of life. I will start over. I can remember most of it, I am sure. Don't worry. It's all here in my mind. Go, my friend! Do not feel bad." As Mill left, Carlyle watched him from the window. Carlyle turned to his wife and said, "I did not want him to see how crushed I am by this misfortune." And with a heavy sigh, he added, "Well the manuscript is gone, so I had better start writing again." Carlyle finally completed the work, which ranks as one of the great classics of all time. He had learned to walk away from his disappointment. After all, what could Carlyle have done about his burnt manuscript? Nothing. Nothing would have resurrected the manuscript. All Carlyle could do was to get bitter or get started. And what can we do about anything once it is over? Not much. we can try to correct it if it is possible, or we can walk away from it if it isn't. Those are your only two choices. Sometimes we've just got to shake it off and step up. Finally, we need to FORGIVE. It's difficult, especially when the other person doesn't deserve your forgiveness or doesn't even seek it. It's difficult when the other person is clearly in the wrong. But when the other person is really guilty about what he is done its worth forgiving because he dared to accept his mistakes. Part of the difficulty comes from a common misunderstanding of forgiveness. Forgiveness doesn't mean that the other person's behavior is okay. And forgiveness doesn't mean that the other person is off the hook. He's still responsible for his misbehavior. 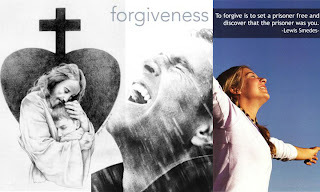 Forgiveness is about letting yourself off the emotional hook. It's about releasing your negative emotions, attitudes, and behaviors. It's about letting go of the past so you can go forward to the future. Everyone in your life, everyone on and off the job is going to disappoint you. If you know how to respond to those situations, you'll be way ahead of most people. You'll be able to live above and beyond your circumstances. Identify two people who has disappointed, hurt, or angered you. If possible, select two people towards whom you still have some bitterness. Then ask yourself, "How does my bitterness serve me? Am I happier holding on to it? Do I sleep better? Is my life richer, fuller, and better because of my bitterness?" If you find that your bitterness is hurting you, make a decision. Actually decide to let it go. Walk away from the disappointment -- which means you no longer dwell on it or talk about it. And finally, i would like to thank my friend Reshma for this wonderful forward.